This I know about Thandie Newton, she is a fashion risk taker and whether she is using a stylist or not, the actress always stands out on the carpet. She was of course at HBO's 'Westworld' season 2 premiere yesterday evening(April 16th) at the Cinerama Dome in LA. 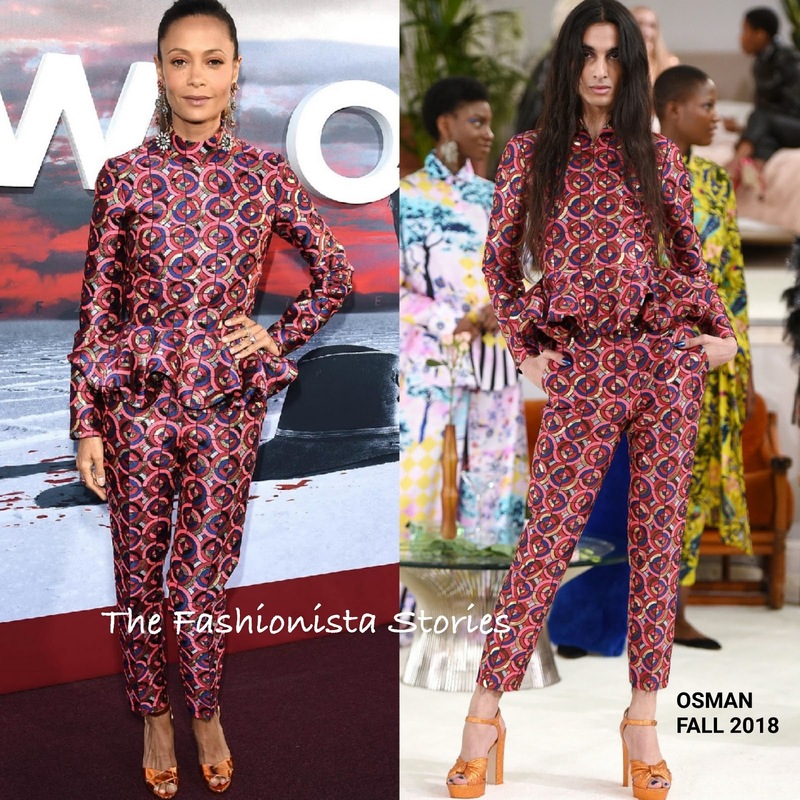 Working a print on print look, she wore a OSMAN FALL 2018 printed brocade peplum jacket with and the matching cigarette pants. I can't say that I am loving this look on the model but on Thandie, it's winner. She knows how to make different pieces work in her favor and this time was no different. She has a great fashion sense and the orange metallic sandals added to the chic appeal of her look. She finished up with statement earrings by VICKI SARGE and a ponytail. Are you loving Thandie's look as well?